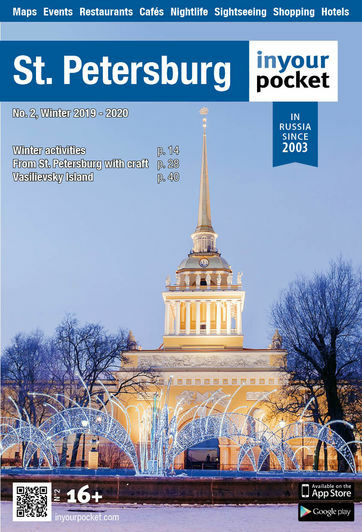 Russians are a superstitious folk, they do a whole host of strange or unusual things to ward off the bad luck and welcome in a bit of good luck. This humble editor once found herself chased around a bar by someone who wanted to step on her foot. Why? Because if you step on someone’s foot and they don’t step back on yours you will be bringing some bad luck and conflict for both of you. 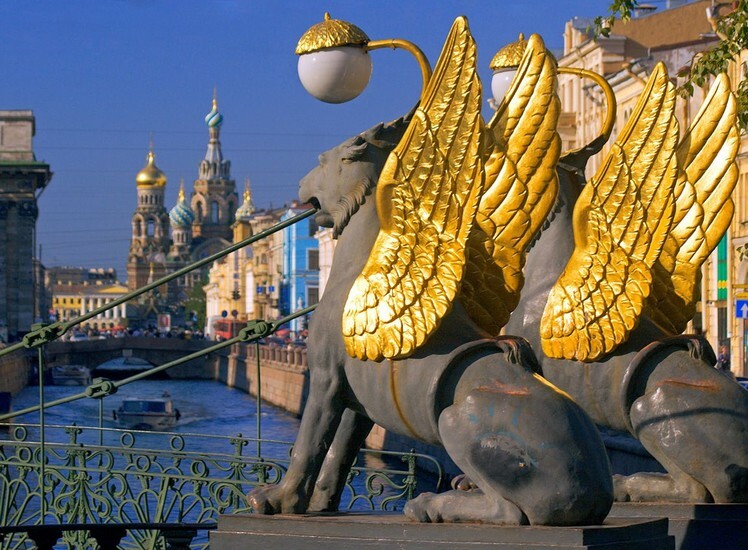 Russia is indeed a strange and mysterious land, but if you can understand something about the wonderful folklore and superstitions Russians have you’ll get a lot closer to the heart of this enigmatic culture. Here are just a few pointers to get you started. 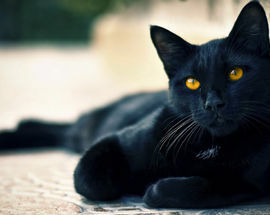 According to Russians there are many things that you can do to bring bad luck upon your home. Whistling inside your home or office will cause you to lose money. Remember there’s a financial crisis at the moment and anything you can to do to prevent economic breakdown is worth trying. In the same vein if you want to give someone a wallet or purse as a gift, remember to put some money in it or you’ll be bringing poverty upon them! Also be careful not to leave bags or purses on the floor, you’ll lose your money (or someone will probably just steal it). One of the most popular superstitions in Russia regards returning home when you’ve forgotten something. It may sound illogical but, if you’ve forgotten something you shouldn’t go back. If you really need to go back, just make sure to look in a mirror before you leave the house again and you should be ok. 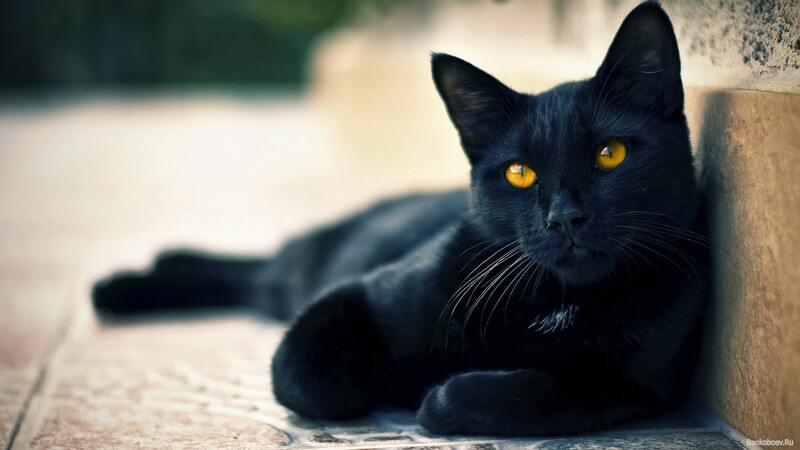 If a black cat crosses in front of you, be prepared for a terrible day. To offset the potential bad luck it is said that you should walk backwards away from the cat… and if you see a woman with an empty bucket coming towards you - run! She too will bring you misfortune. When it comes to family there are also special rules which apply to ensure that bad spirits and the famous ‘evil eye’ will not get at your loved ones. Firstly - no baby showers. You should only buy gifts for the child once it’s been born. Plus if you want to visit your friends' new born, it’s best to leave it until at least a month after the birth or you could unintentionally give him/her some serious negative energies. Women wanting to marry should watch out not to sit on the corner of a table, sitting here will leave you single for a whole seven years! If someone from your home is setting off on a trip, don’t wash their clothes while they are away. It may mean that they will never come back. Also if someone comes to visit you and you don’t want them to see them again, you should clean the floor immediately after they leave. And that broom that you just used to sweep the floor? Keep it in the corner where you can see it, it should bring you good luck and keep bad house spirits at bay. Sometimes in Russia there are said to be certain things that you can do to ensure you have good luck too. For luck in exams some people put five roubles in their shoe or even shout at windows. Many people like to wear safety pins somewhere on their person, usually somewhere hidden. Why? Because wearing an old safety pin will protect you from that terrible evil eye of course. Certain rare items that you can find also hold good luck such as lilac. If you find a lilac flower with an odd number of petals - congratulations! Likewise a bus ticket with a number such as 243153 is very lucky. The first three numbers (2+4+3=9) and the second set of numbers (1+5+3=9 ) add up to the same amount and so it’s a winner. Such tickets like the flowers are extremely lucky and you should eat them. Yes, lucky tokens such as these need to be eaten to release their powers of good luck. Many things can happen in a Russian’s life that will reveal something about his future. For example if a spoon falls to the floor it means the next person to enter the room will be a good, kind woman. If it’s a fork it will be an angry woman and a knife falling indicates a man’s arrival. If your nose itches you’ll be drinking soon and if you start hiccupping then someone is thinking about you. To stop the hiccups you should figure out who is thinking about you and they’ll be gone. If your right hand itches, you're going to get money soon or meet someone soon. If your left hand itches, you're going to give money away. And how about this? Someone sneezes while you’re saying something. This is proof for everyone that you’re telling the truth - might be a good idea to tell your lawyer about that one. One of the darkest omens is that of the bird. A bird flying into your house will bring death, although if a bird poos on your head it means you’ll have good luck - yes that wonderful Russian logic again. 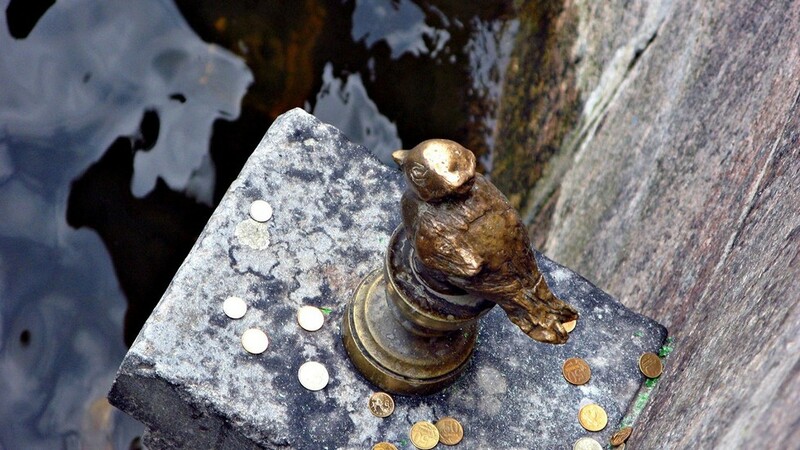 Chizhik Pizhik - This tiny little bronze bird is installed half way up the embankment of the Fontanka next to the Engineers castle (opposite the summer gardens). 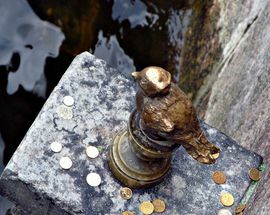 Although little Chizhik Pizhik has only been resident since 1994, a local legend has sprung up that if your coin lands on his shelf, then you will one day return to St. Petersburg. It was designed by Georgian artist Rezo Gabriadze, who said, "Chizhik Pizhik helps students get through unhappy love-affairs and get around on public transport without having tickets." The hare saved from the flood – Ioannovsky Most. As you walk over the bridge to the Peter and Paul Fortress, keep an eye to the left for a little hare on a pillar in the water. Land a rouble at his feet and you’ll be seeing some good fortune. The cat Vasilisa – Malaya Sadovaya 7. If you’re walking up Malaya Sadovaya from Nevsky prospect, look up to your right and you’ll see a little cat on a ledge – Vasilisa the city’s defender against rats. If you can get a coin on to her ledge it’s your lucky day. If you can’t see her she may well have fallen off. She has been known to disappear as people have attempted to climb up there and grab some pennies. Bankovsky Most – Canal Griboedeva 30. 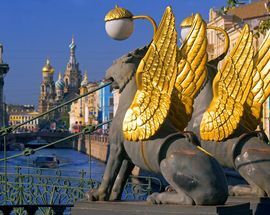 Before you cross over the bridge, put you hand on one of the feet of the lions and make a wish. As you cross the bridge, it’s believed your wishes will come true!